The Cinque Terre is an impressive and unique landscape that covers about 4000 hectares near the Liguria region’s border with Tuscany in the north western coast of Italy. It has a population of about 5000 people and its rural landscape is characterized by steep hillsides that drop down to the sea. 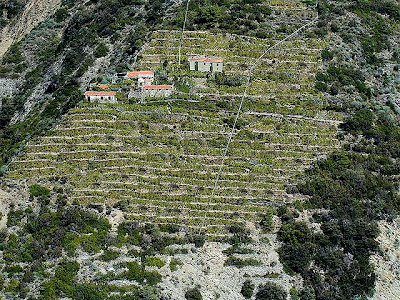 These are marked by a geometry of terraces held up by dry-stone walls and covered with vines. The landscape has been recognized by UNESCO in 1997 as a world heritage site and as a cultural landscape. It was produced by collective creativity that was able to draw opportunities for a peculiar agriculture from the difficulties of the natural environment. It is unfortunate that most of the territory, at present, has undergone “artificialization” which imposed a new “human nature” on the first “natural nature”. The natural make-up of land and draining were transformed by the system of terraces. 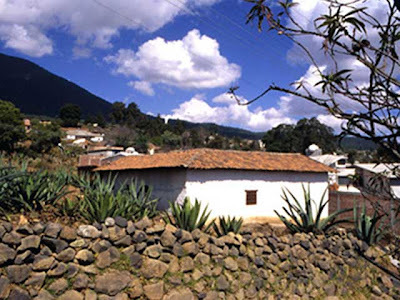 In the terraced areas spontaneous vegetation was replaced by agriculture. A generalised tendency to abandon agricultural practices has long been evident: in the heyday of agriculture. If man’s presence declines, the survival of landscape is at risk and its stability can degenerate until it collapses. Landscape management tools are introduced to help preserve and restore the terraces. The landscape model aims to protect the landscape and to develop the local socio-economic conditions of the community. It joins local and national plans, its instruments and policies. Fundacion Santiago is a private service-provider development organization established on September 29, 1993 and was officially registered at the Securities and Exchange Commission (SEC) on October 14, 1993. Fundacion Santiago envisions a compleat filipino, a person who, by knowing oneself, can care for oneself and one’s others. ■ to contribute to true, sustainable and equitable national development through the promotion of entrepreneurship and commitment to community. These took shape in its two institutional programs--- “PAMANA” (Heritage) and “PAGASA” (Hope). In order to advance this paradigms, Fundacion Santiago sought a strategic partnership with PhilDRRA (Philippine Partnership for the Development of Human Resources in Rural Areas), a nationwide network of rural development non-government organizations, and Island Caravan, a tour operator. At present, Fundacion Santiago concentrates on communities located in Southern Tagalog. The Banaue Rice Terraces is a cultural landscape that can be viewed as a result of man’s adaptation to his natural environment. Situated in a harsh environment with limited agricultural space, the early inhabitants of Ifugao conquered these threats by constructing terrace ricefields through their ingenuity and sheer manpower. Unfortunately the Banaue community is now experiencing challenges regarding the preservation and management of these traditional landscapes. The triadic paradigm composed of the local government units (LGUS), civil society organizations, and captive local businesses are now joining forces to create sustainable development measures that will aid in the preservation of the Banaue Rice Terraces. This move is also gaining support from national and international governments. There is a need to harness the same ingenuity and man power to help preserve what our great ancestors have left for us and our future generation. Vernacular architecture can be seen in traditional buildings which is the built context of historical cities. 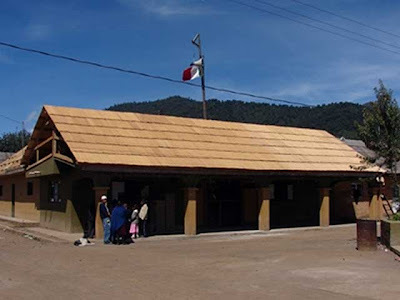 An entire village, for instance, is a perfect example of how vernacular constructions are integrated as a whole. In this setting, the natural environment reflects a community’s main productive activity. While it is fortunate that there are still groups which have preserved their built traditions and their natural landscape, the last few years saw living heritage sites experiencing pressures of development. Cultural landscapes and vernacular architecture have been damaged along with the emergence of urban areas and new industrial construction materials. To be able to keep up with the constantly changing environment, it is important to study the whole problem and integrate heritage with the community’s customs and traditions. Environmental care must not be neglected. The key is to maintain the cultural landscape as it is integrated to vernacular settlements. Most particularly, it is vital to help the community develop their social and economic potentials without sacrificing the identity and integrity of its people. Gilles Nourissier had joined CIAV only a few months before his untimely death, and I would like to take this opportunity to express, on behalf of the committee, our sincere regrets. Gilles would have brought to our committee his indomitable enthusiasm and energy, and we all regret him deeply. First, a word of thanks to the many sponsors who have made our 2007 annual meeting a success; their contribution was extremely generous and most welcomed. These sponsors are: Her Excellency Kristie Kenney, American Ambassador to the Philippines, the Tokyo Electric Power, the Fundacion Santiago, the Ayala Foundation, the Department of Tourism of the Philippines, the National Commission for Culture and the Arts of the Philippines and Holcim Cement. Second, I would like to express my gratitude to our dear colleague Augusto Villalon for having organized this wonderful conference. Augusto has spared no efforts in the preparation of this conference to ensure its success. CIAV’s annual conference served to bring together for the first time all the major Filipino experts involved in the preservation of the Rice Terraces, a World Heritage Site that has been inscribed on the List of endangered sites in 2001. Conference participants focussed on the issue of whether traditional landscapes were still viable in the 21st century and delivered interesting papers with energy and passion. 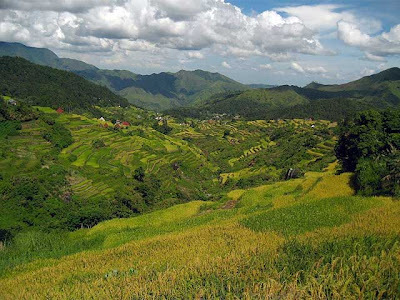 The rice terraces of the Philippines are threatened by the fast changing lifestyle of its inhabitants, by the deterioration of the terraces and the natural resources, and by insufficient recognition of these problems by the government, among other issues. The problems were clearly demonstrated during the conference and local experts presented effective solutions to these problems. It was demonstrated that similar problems are shared in many parts of the world. It was clearly established during this conference that the Filipino experts have developed working solutions to the problems pertaining to the conservation of the Rice Terraces and that these solutions will need to be implemented in a near future. Delegates left the Philippines with the confidence that the future of the Rice Terraces was in capable hands and this breathtaking landscape will be protected. The committee has currently 74 members from 44 countries and six honorary members from five countries. Membership has slightly increased over the last year, but we need to increase it by attracting young professionals interested in vernacular heritage. We have to think about the future of CIAV, and this future is in the hands of the next generation. 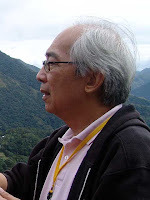 Augusto Villalon, has launched his book, Living Landscapes and Cultural Landmarks, on World Heritage properties in the Philippines, at the UNESCO Salon des Délégués on 6 June 2007. Miles Lewis has also published The Victorian Barn this year. Our congratulations go to both authors. The president was asked to write a brief article on the Vernacular Charter for Europa Nostra, a European journal, and he gave a presentation on the impacts of global climate changes on York Factory, a national historic site of Canada, in Pretoria. Valeria Prieto, our energetic secretary general, has produced seven newsletters so far. b. recommend allowing a nominal fee for all the evaluation or monitoring tasks, thus recognizing both the professional nature of the work and the time contributed, by balancing the ICOMOS budget for World Heritage to meet this need. This recommendation was sent to ICOMOS Executive Committee. We will see how they respond to it. The little village of San Antonio, in Mexico, has made a lot of progress since our visit last year. Streets are being paved and roofs are being changed as we can see on the photograph of the municipal hall below. The medical clinic is almost completed, and the people are learning different trades, such as sewing, nursing, metalwork, embroidery and spinning techniques to supplement their income. A recent donation will serve to build washing facilities. The future looks promising for the inhabitants of this village. Finally, ICOMOS Vice-President, Kristal Buckley, commented most favorably on CIAV’s activities in the Asia Pacific region during the last meeting of ICOMOS advisory committee. The national committees of this region are keen to cooperate with International Scientific Committees. These committees have expanded activities and membership in this region, and CIAV was cited as being particularly active. Congratulations to our colleagues from this region for their excellent work. The committee is still monitoring the proposed construction of a road bridge that would destroy the historic character of Tomo-no-Ura in Japan. The committee has approved a resolution of support for the nomination of the Red River Terracces Fields of the Hani people in China as a World Heritage Site. This resolution was conveyed to ICOMOS China. The committee has delegated to Kirsten Maelzer the responsibility of monitoring the situation of German settlements in Ukraine. These settlements are threatened by abandon and demolition. The committee will be present at the Terra 2008 conference that will take place in Mali in February 2008. The delegates are Valeria Prieto and Christoph Machat. CIAV’s next annual meeting will take place during the General Assembly of ICOMOS in Québec City. So far, the boat tour to Grosse-Ile has been very popular, and I can confirm that it will take place. I would like to remind you that the cost of this excursion is 75$ U.S. Other ISCs, the Earth committee, the Cultural Landscape committee and CIPA in particular, have said that they would be interested in joining us, so we will have an opportunity to network with them. The tour will take place on 29 September 2008, and it will last the entire day. We will hold our annual meeting during that evening. Grosse-Ile can be extremely windy, cold and wet, particularly at the end of September, so bring appropriate clothing. We have accepted an invitation to hold our 2009 meeting in Romania. This conference will take place from 16 to 23 May 2009 in the town of Rimetea, which is located in Transylvania. It will be held in conjunction with Tusnad. Its topic will be the protection of vernacular heritage and rural existence conditions, focusing on issues of multiculturalism. It would be useful to think now about our future meetings, particularly for 2010, as I expect that we will hold our 2011 meeting during the General Assembly of ICOMOS wherever the location of that venue will be. I welcome suggestions for the 2010 meeting on location and theme. As you know, our statutes stipulate that the executive is elected for a term of three years. So there will be elections during our meeting in 2008. The present executive, with one exception, will solicit, with your permission, another mandate. The exception is vice-president Masero Maeno, and it is with extreme sadness that we accept his decision. It would be useful to have somebody from the Asia-Pacific region on the executive. A voting committee will be set up to manage next year’s elections. Three propositions for awards were received. Our colleague, Dimitrios Psarros, from Greece, suggested the names of Professor Nikos Moutsopoulos, from Greece, and of Professor Haluk Sezgin, from Turkey. Both of them were founding and active members of CIAV. It was agreed that Professors Moutsopoulos and Sezgin receive the title of honorary members of our committee. Our colleague, Gisela Medina Chavez, from Mexico has received an award for her exemplary work in preserving the Purhépecha community of San Antonio Tierras Blancas, municipalidad de los Reyes, Michoacán. Gisela has contributed in building a medical clinic in this village. Finally, on the recommendation of ICOMOS Finland, an award was given to the pupils, the teachers and team of specialists at the School of Murole, Finland, for having created a unique model for transmitting knowledge of vernacular architecture from one generation to another, from researcher to layperson, and for raising awareness of the conservation of local heritage.